It’s a special time of year when the night sky lights up with colourful fireworks and the air is thick with the smell of bonfires. With bonfire night falling on a Saturday, the celebrations are going to consider all weekend long. It’s the most loved (and probably the only) celebration of a foiled assassination plot. 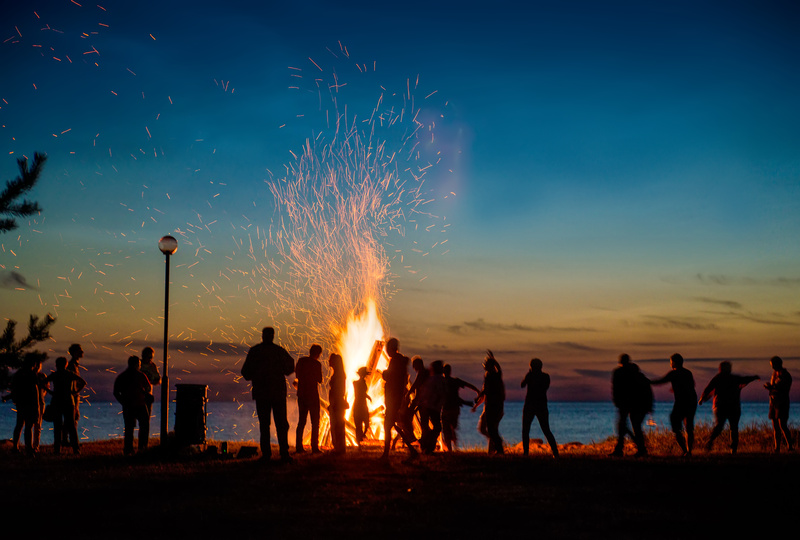 A successful bonfire night with family and friends is all about good planning and taking the proper precautions to make sure everybody stays safe. Here are our top tips for having a happy and safe bonfire party. Have you noticed those very temporary firework outlets appearing in shops that are usually abandoned all year round? It can only mean that bonfire night is here. And because it’s something that we only buy once a year it can be difficult to know which fireworks to pick when you are out shopping. If you really want to impress, then you might want to shell out on a ‘cake’ – a kind of pre-packed display that costs a little more but means that you don’t have to keep lighting and re-lighting. Another good tip for fireworks shopping is to check out what the fireworks look like on YouTube first. There’s nothing worse than shelling out £50 on an expensive set for it to not live up to your expectations. Remember, the bigger, brighter and louder the better. Fireworks are the most fun part of bonfire night, but they are also the most dangerous aspect. Used to symbolise the gunpowder used by Fawkes and his conspirators, fireworks can pack a powerful punch. And they seem to get bigger every year. As always, preparation is critical. Make sure you have eye protection and gloves and have a bucket (or preferably multiple buckets) of water nearby to douse any fireworks that fail to launch. If a firework does not launch then you mustn’t approach it for at least 30 minutes. My favourite part of bonfire night is getting everyone involved. There is something primal about the night that appeals to children, parents and grandparents. But children can’t be trusted with fireworks, which is probably why some genius invented sparklers – as a safer way of getting kids involved in the firework fun. But be under no illusions. Sparklers are still dangers. They can reach temperatures of up to 2,000°C. So you need to make sure your children are wearing gloves. Don’t let kids under the age of five use sparklers and make sure that your kids are being well supervised.